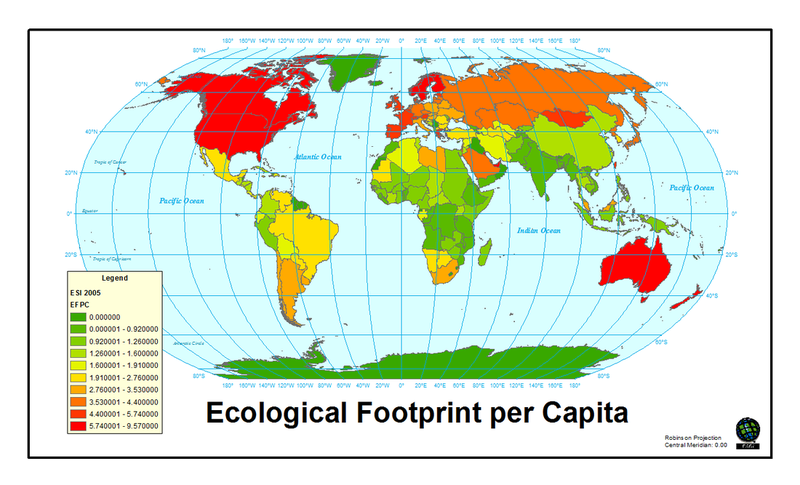 My Ecological Footprint By: Monica C.
After learning about carrying capacity and overshoot, it got me thinking about living more sustainably. Using resources at the rate that I do, It would take 4.1 planet earths to support me. This shows just how many resources it takes to support each human on earth, based on his or her usage of resources. This describes how much an ecosystem can handle, based on current usage by humans. Global Overshoot occurs when humanity's demand on nature exceeds the biosphere's supply, or regenerative capacity. Such overshoot leads to a depletion of Earth's life supporting natural capital and a build up of waste. At the global level, ecological deficit and overshoot are the same, since there is no net-import of resources to the planet. Local overshoot occurs when a local ecosystem is exploited more rapidly than it can renew itself.” This occurs when we use the earth’s resources faster than it can produce/regenerate them. If everyone lived like me, the maximum people who could be supported by Earth forever is 1.71 billion people. The world has over 7 billion people currently.